1. Go to "My Webinar" page and select the webinar you wish to manage. 2. 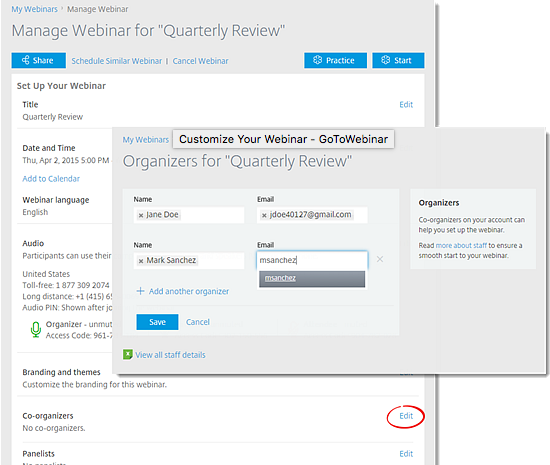 Click "Manage webinar" page and select "Edit" next to the category of "Co-organizers". *Please note that the person added as an co-organizer needs to be a member of the on the GoToWebinar account. Please indicate on the application form or email admin@cochrane.org to let them know you wish to add co-organizers to your webinar.